The 60th edition of the Barcelona-Sitges International Vintage Car Rally is held on 3rd, 4th and 5th March. Once again, as it happens every year since 1959, Barcelona and Sitges will be linked by the caravan of historic vehicles -cars produced until 1928 and motorcycles until 1938-, which will start in Plaça Sant Jaume in Barcelona and will end their tour in the Sitges, square of La Fragata. 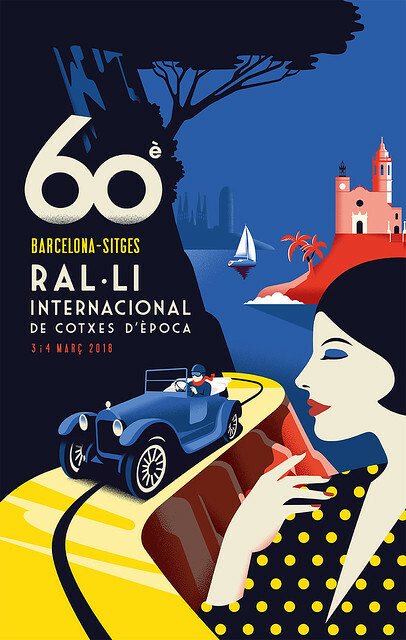 Sitges, Barcelona and a vintage car happily approaching the Costas del Garraf, with the sea in the background as a link between these 3 key points, are the protagonists of the poster of the International Rally Barcelona-Sitges Vintage Cars, which this year celebrates its 60th edition. The simple lines of the Automobile of the image, inspired by those of a Buick D44 of 1916 that this year will participate in the rally, represent the change towards a new style, a generational renewal that coincides, with the carefree elegance of the spectator who contemplates the vehicle when it passes. They are references to the own evolution of the Rally, in which more and more young drivers are participating. 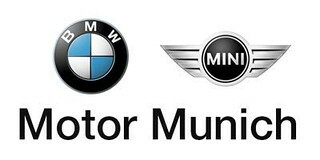 10:00h-21:30h Six emblematic vintage cars will be on display in L'illa Diagonal shopping centre, Barcelona. • 10: 00h Arrival of the participants in the Sitges 2018 Barcelona Rally to the L'illa Diagonal shopping center in Barcelona. Exhibition of cars and motorcycles until 5:00 p.m. The closed park will be installed on Avenida Diagonal, in front of the shopping center, where the technical verifications of the participating cars will be made, in full view of the public, from 10:00 a.m. until 5:30 p.m.
• Starting at 11 a.m., Plaça de la Fragata will host a concentration of models T1 and T3 of the Volkswagen brand, organized in collaboration with the Club Escarabats de Catalunya (Club Beetles of Catalonia), which will remain until about 17 hours. • 8.30 to 9:30h am Registered participants dressed in period clothes gather in Plaza Sant Jaume, Barcelona. Breakfast. • 10:30h Rally commences. 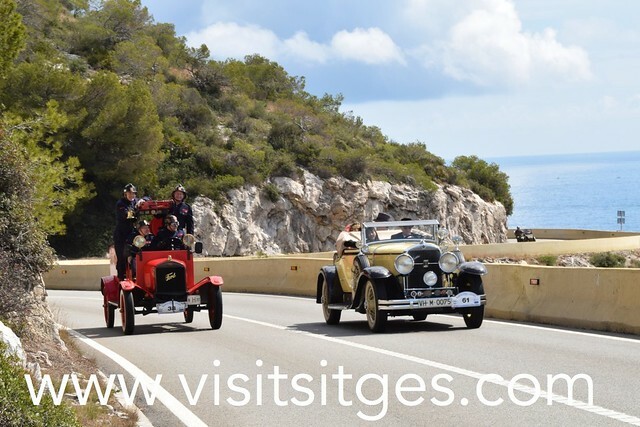 The start will be given by Barcelona mayor Ada Colau, Sitges mayor Miquel Forns, the President of the Foment del Turisme de Sitges Mrs Maria Marin, the "Pubilla de Sitges" and the "Hereu de Sitges"
The rally itinerary runs along the following streets and through the following towns. From Barcelona (Pl. Sant Jaume – Ferran – Rambles – Pl. Catalunya – Ronda Universitat – Ronda Sant Antoni – Sepúlveda – Paral·lel – Pl. Espanya – Gran Via – Badal - Constitució), to L'Hospitalet de Llobregat (Santa Eulàlia-Enric Prat de la Riba - Barcelona) – Cornellà de Llobregat (Carretera de l'Hospitalet - Av. de la Fama - Tirso de Molina - Av. Baix Llobregat - Link to C-245), Sant Boi de Llobregat, Viladecans, Gavà, Castelldefels, link to C-246, Costes del Garraf and arrival to Port de Sitges-Aiguadolç. • 12:00 h Arrival of the rally at the Port d'Aiguadolç of Sitges. Reception for participants in the Port d'Aiguadolç. • 12:30 h On Plaza de la Fragata, performance of the swing group Apocadixie 4. In addition, the square will host, next to the closed park, a village with several tents in which various activities will be carried out, such as tasting of Moritz products to which they are made a selphie in their photocall, or draw of wine tastings and visits to their cavas in the area of Caves Pere Ventura.